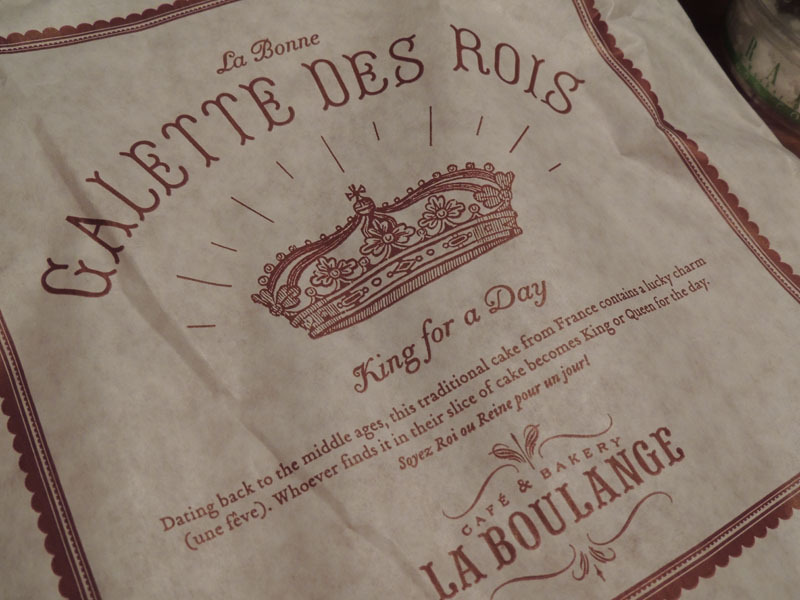 We missed Three King’s Day by a week, but we still managed to get a Galette des Rois from La Boulange on Pine Street over the weekend! Jules was excited to see that they offered it, as it is the cake he used to get for his birthday every year as his birthday falls so close to the day of Epiphany. 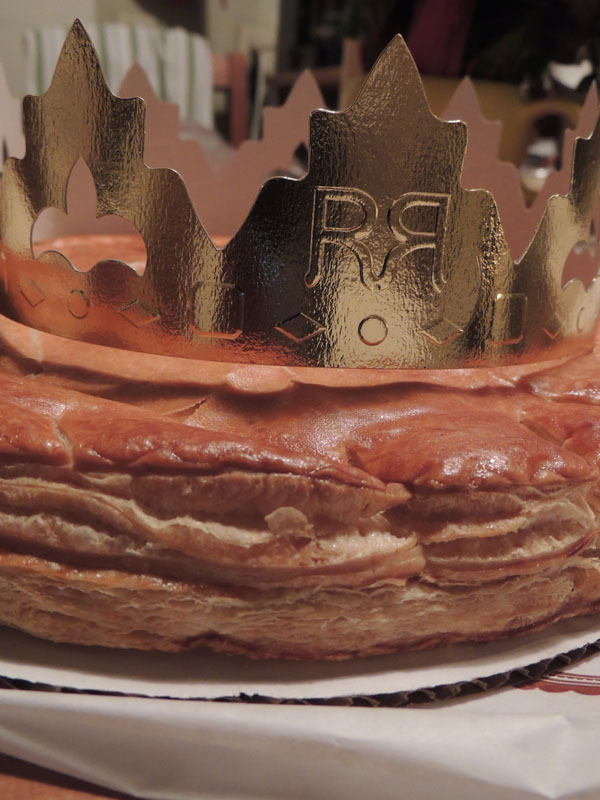 The Galette des Rois is a cake made of puffed pastry filled with frangipane cream, with a hidden “fève” embedded within the dessert. In the old days, a fava bean (fève) was used, but today, either a plastic or ceramic figure is used. 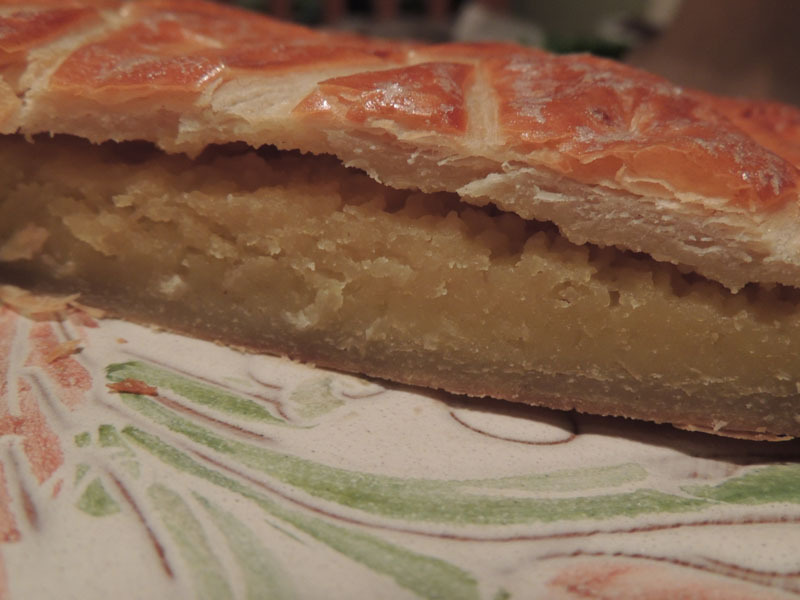 Traditionally, the cake is cut into pieces and whoever finds the fève is the King (or queen) for the day. 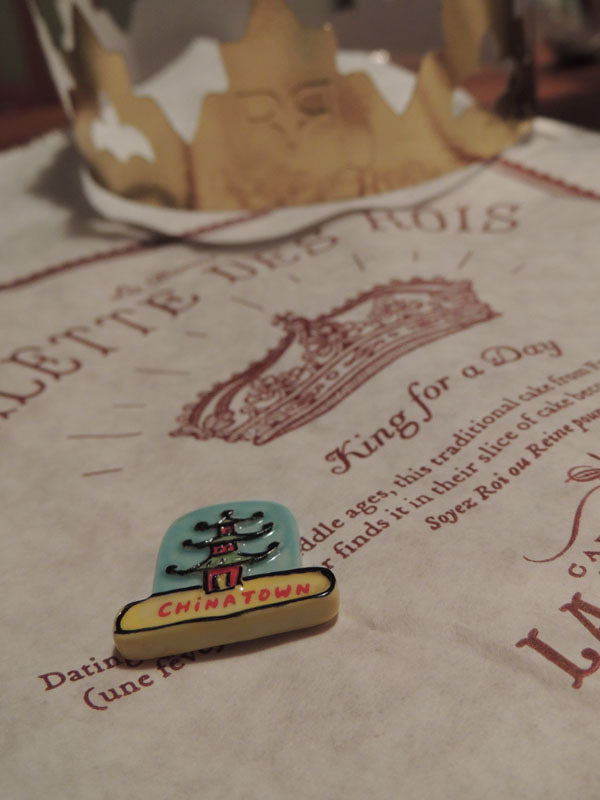 I love the Chinatown-themed fève in ours, but for legal reasons, La Boulange does not hide the trinket in the pastry, for fear that some litigious gourmand is going to choke on the thing. The bakery also includes a crown for the lucky winner! Of course, if you are feeling adventurous, you can certainly make your own cake, as the ingredients list is small. 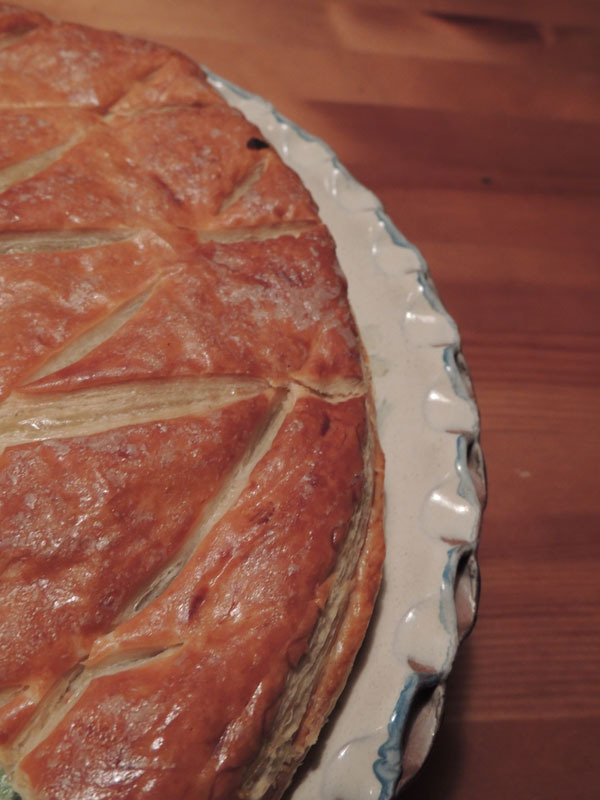 You can do it the easy way and buy pre-made pâte feuilletée (puff pastry) sheets, or you can go nuts and create the puff pastry from scratch. The result will still be quite tasty either way! a day at domaine carneros.